In a historic development, India Post has announced its partnership with UAE’s national postal service: Emirates Post Group to create a platform for International Money Transfer Service for Indians living abroad. The agreement has been signed between India Post and Wall Street Exchange, which is a part of Emirates Post Group. In a single masterstroke, India Post has converted its 1.55 lakh post offices across India into foreign exchange hub spots, which can be used by Indians to receive money sent by their relatives and friends from abroad. This service would be rolled out in a phased manner, and to start with 17,500 post offices across India would be equipped with facilities to receive money from abroad. 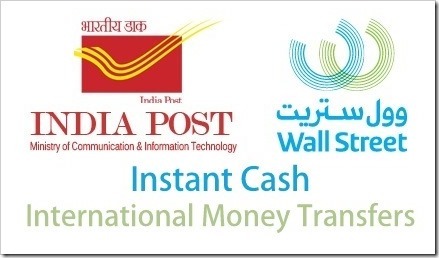 This new initiative by India Post would be based on the global network of “Instant Cash”, which is a money transfer network, having its base in UAE. Their money transfer service is available across 60,000 locations spread over 59 countries. “Instant Cash” is a subsidiary of Emirates Post Group, which is the official postal services provider of UAE. This service would be managed and operated via Wall Street Exchange which is another subsidiary of Emirates Post Group. Aryan lives in Dubai, and he wants to send money to his dad in India. Step 1: Aryan will go to the “Instant Cash” outlet in Dubai. Fill out the form and give the cash. Step 2: Aryan’s dad goes to the nearest post office, identifies himself with ids and unique transfer number and receives the money. The whole mechanism of money transfer would be based on The International Financial System, which is a platform for sending and receiving international money, all across the globe. It was created by Universal Postal Union, which is a UN agency which co-ordinates the global postal systems, ensuring all its member countries follow the postal policies. India is one of the largest recipient of foreign remittance, across the globe. Indians receive $70 billion every year from foreign locations. And out of this figure, 50% of funds are transferred from Gulf countries. India Post has strategically signed this agreement with a UAE based global money transfer network because; Gulf is a very promising sector. But the main advantage of this service would be the connectivity provided by post offices spread across India. India Post is world’s largest postal network with 1.55 lakh post offices across India. Those who want to receive money from abroad can simply visit any post office, and receive instant money. Do you think this new partnership by India Post will help to generate more foreign remittances? Will you use this service to receive money from abroad? Please share your views in the comments!